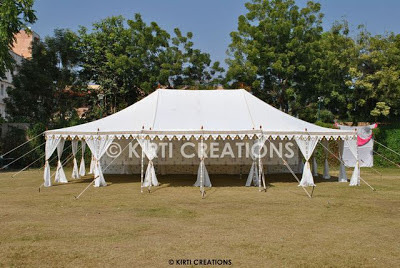 A specious raj tent made of one or two central poles having supported side ropes. It is easy to assemble. 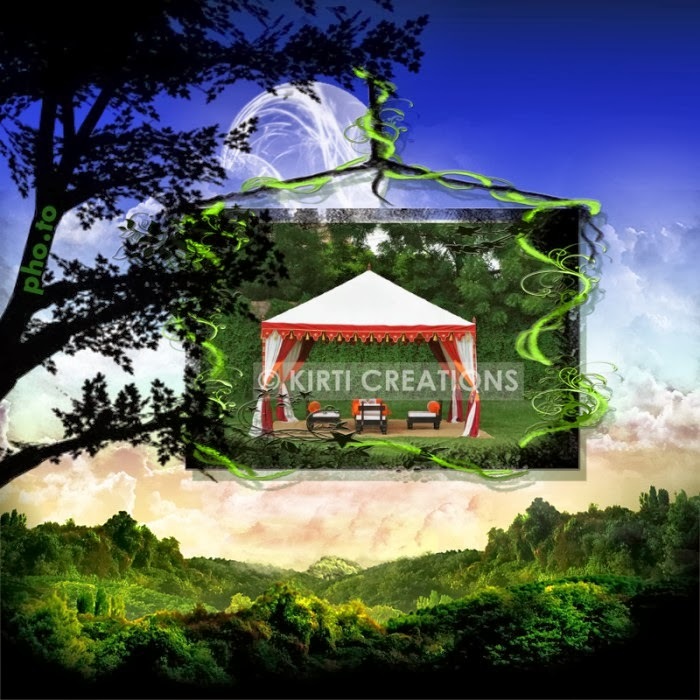 Large space, strength, and water-resistance are the main advanteges of this Raj tent. Yah! I can't hold on to see it for my wedding!